Brexit has undoubtedly been one of the most talked-about political events of the past few decades…and it hasn’t even taken place yet. On 29 March 2019, the UK will leave the European Union and the impact on businesses across the continent will be huge. Or alternatively, the impact on European businesses could be much smaller – at this stage no one is really sure what will happen. There could be a hard Brexit, soft Brexit or even a no deal scenario and how people think events will unfold is highly subjective. 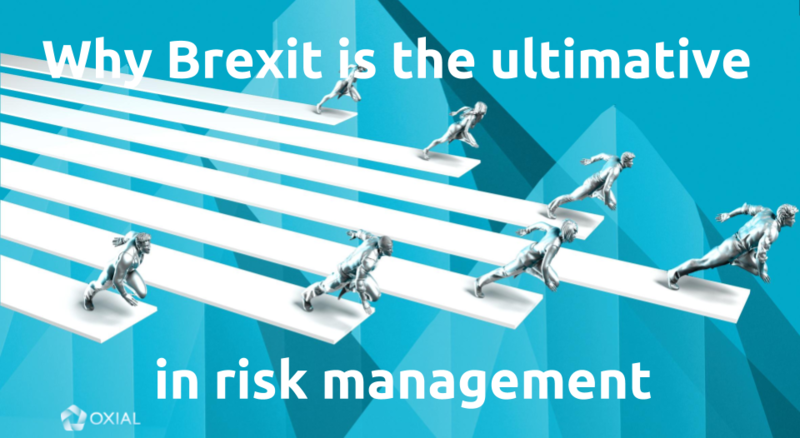 That’s why managing and preparing for Brexit is perhaps the ultimate in risk management. Risk management has been a business discipline for a long time now, but it is perhaps only the past few years when it has been treated with the requisite seriousness in boardrooms around the world. The rise of cyber crime, connected risks and increased compliance requirements and complexity, has meant that risk suddenly has the c-suite’s attention. They can see the potential impact such a risk might have on their business and are prepared to invest in the right tools to protect and mitigate their business against a wide variety of risks. One such risk is undoubtedly Brexit, whatever form it eventually takes. Organisations must look at risk management and scenario-based planning, and as it stands currently, the risk of a no deal Brexit hasn’t gone away. Some businesses may not have thought in any great detail about Brexit and the potential outcome, whereas others are planning and making contingency based plans on the prospect of no deal and no transition. Smart risk management entails organisations understanding the level of risk and agreeing their own appetite for that risk. With Brexit there is so much noise in the media so it can be difficult to assess this accurately and objectively. But recent news that the EU has rejected the UK’s negotiating position on the governance of UK FS firms’ access to European markets, is a strong warning sign for anyone in FS and a good indicator of risk. So the first thing to address for any business would be in understanding their level of exposure to Brexit. How are they structured, what are their supply chains, who do they trade with? Does a business understand, based on likely outcomes, what the potential impact to their business is? What are the pain points and then can it go about either making changes now to protect itself or agree contingency plans to mitigate that risk? But understanding their risk profile and risk landscape is something that businesses find hard to do. Every organisation has its own unique and bespoke risk profile and an increasing trend is to turn to service providers to help support with risk management. The increased volume and potential threat of risks in 2018, requires a more innovative approach as to how risk is managed and mitigated. At OXIAL we implement and supervise risk management to companies all over Europe, enabling them to ultimately use risk mitigation as an asset. Where there is risk there is also opportunity and understanding that can be hugely impactful for any business. 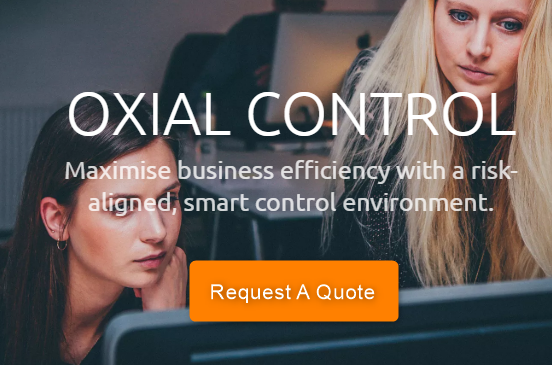 OXIAL’s approach uses automation as the foundation of a risk management capability, amplifying weak signals within an organisation to highlight risks and what their potential impact might be. And currently, mitigating risk around Brexit is a priority for many businesses, in addition to traditional risks such as cyber crime, governance and compliance. If you’d like to learn more about our risk management capability, please get in touch with us.